Did you know Prince Harry proposed to Meghan Markle in front of a roasted chicken? 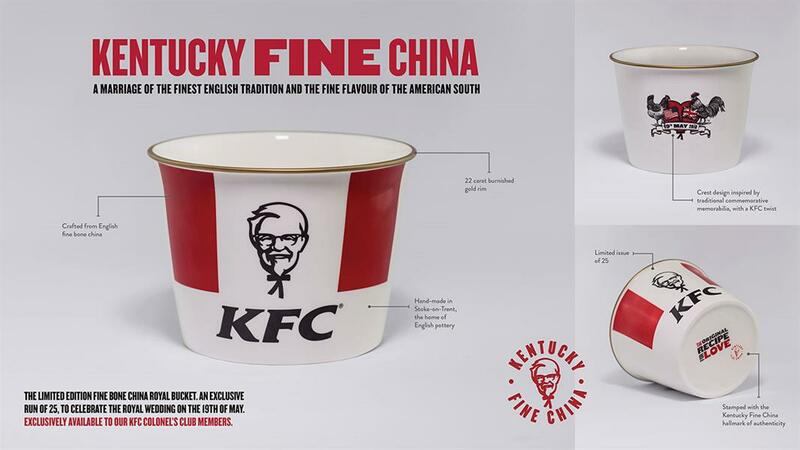 KFC joins the Royal Wedding fever with "Kentucky Fine China", a bucket made from fine English bone china that is fit for royalty. Much like Harry and Meghan, the campaign is a marriage of English tradition and an American favourite. It was created by Charlie Parker and Jonny Marsh.